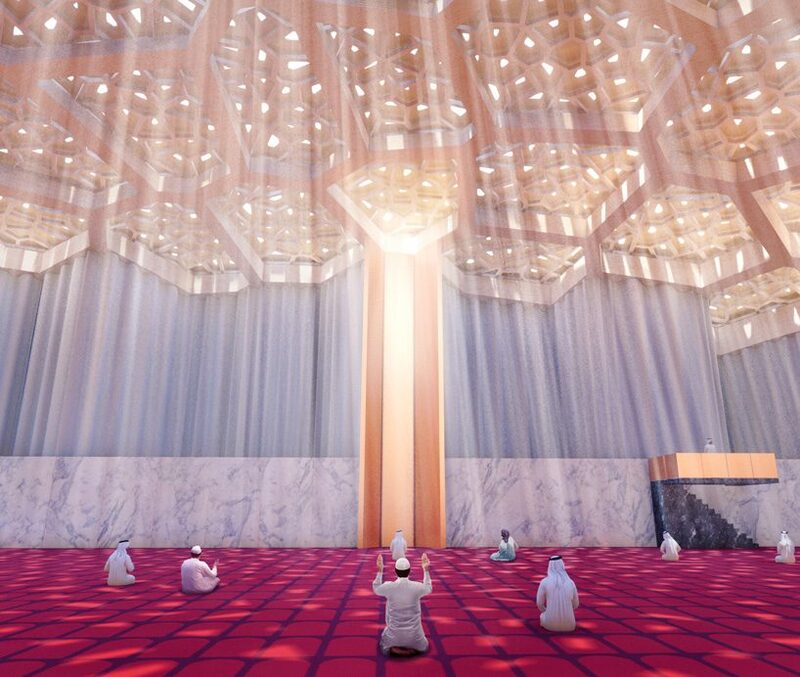 mosque architecture and design surveys spiritual and sacred spaces from around the globe, looking at contemporary projects and the diverse materials and unconventional forms employed in their construction. 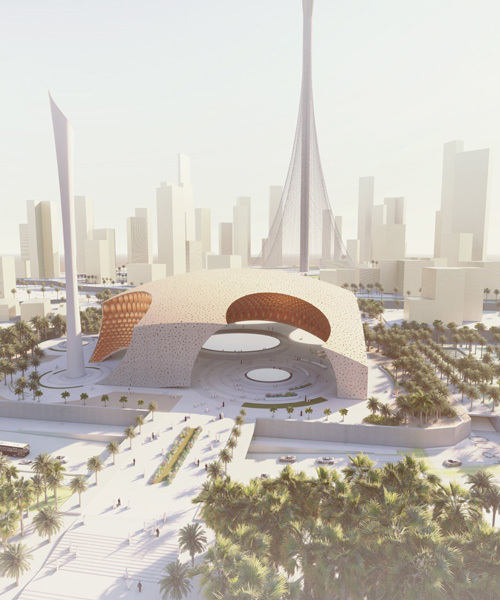 the pearl mosque by san francisco-based architecture studio AMLGM is among the proposals for the dubai creek harbor, situated within the waterfront development and surrounded by mixed-use residential towers on all sides. 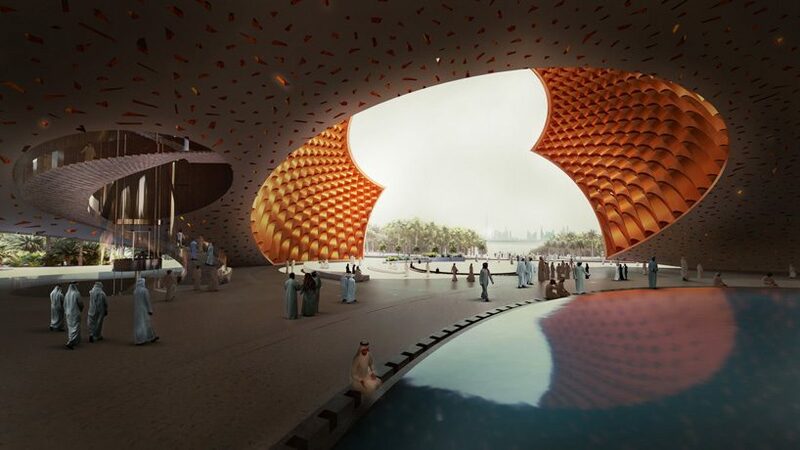 the bold design draws from the united arab emirates’ history and pearl diving, which served as the primary economic activity prior to its transition to an oil dominated company. 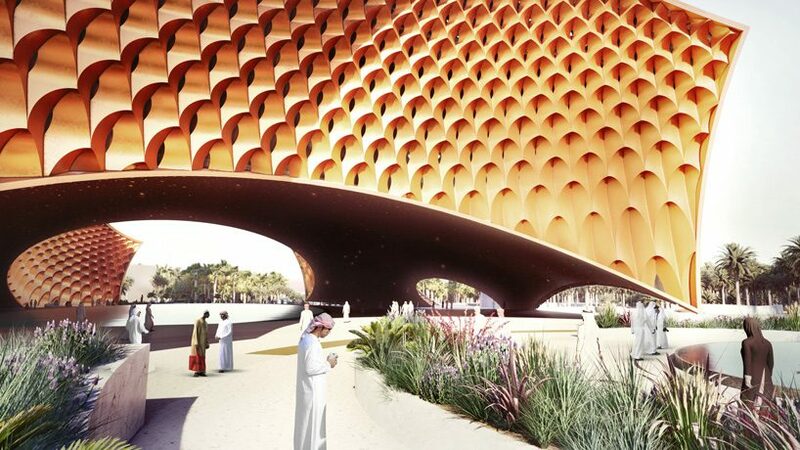 with a rectangular section of a large sphere as its base, the mosque is a direct reference to the pearl, with a form that is circular in nature, and vaulted off the ground. 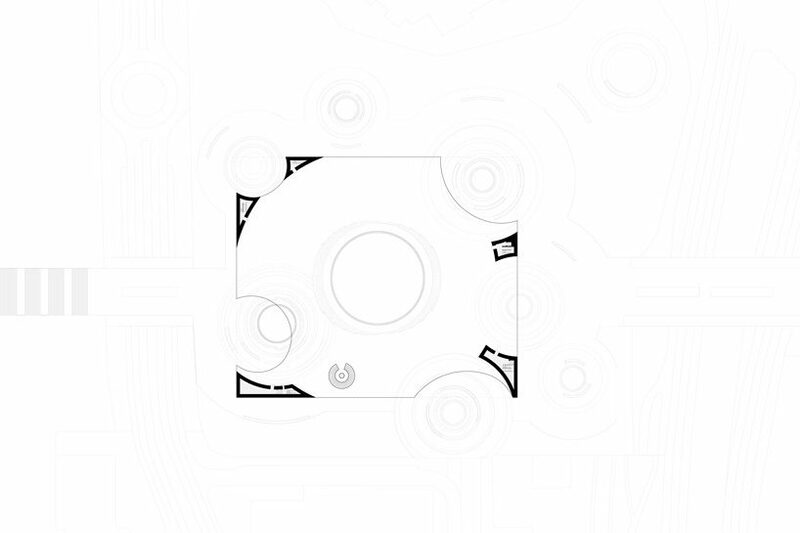 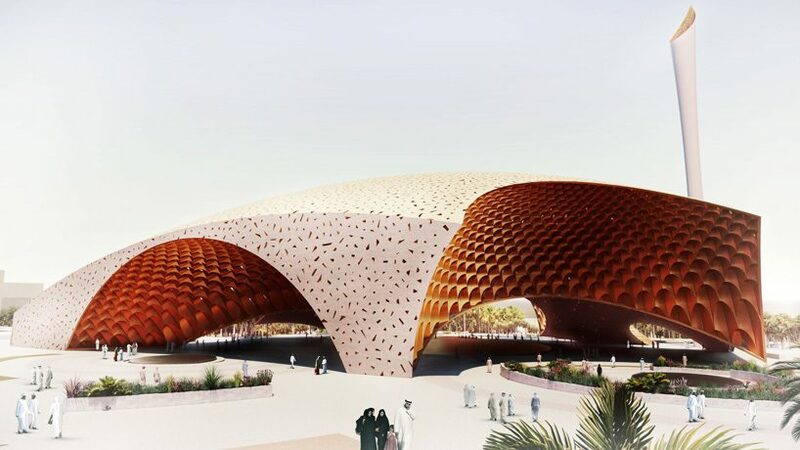 AMLGM has developed the design as a parametric interpretation of traditional islamic elements, including the dome, the muqarna, and the mashrabiya pattern. 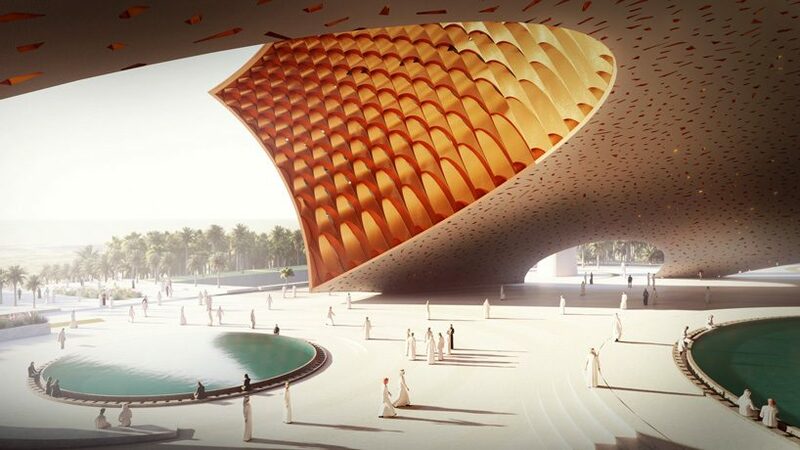 the pearl mosque is surrounded by a series of five smaller spheres that intersect and cut out portions of the larger spheres, resulting in voids that bring in light through a modern interpretation of the traditional muquarnas, and serve as entrances. 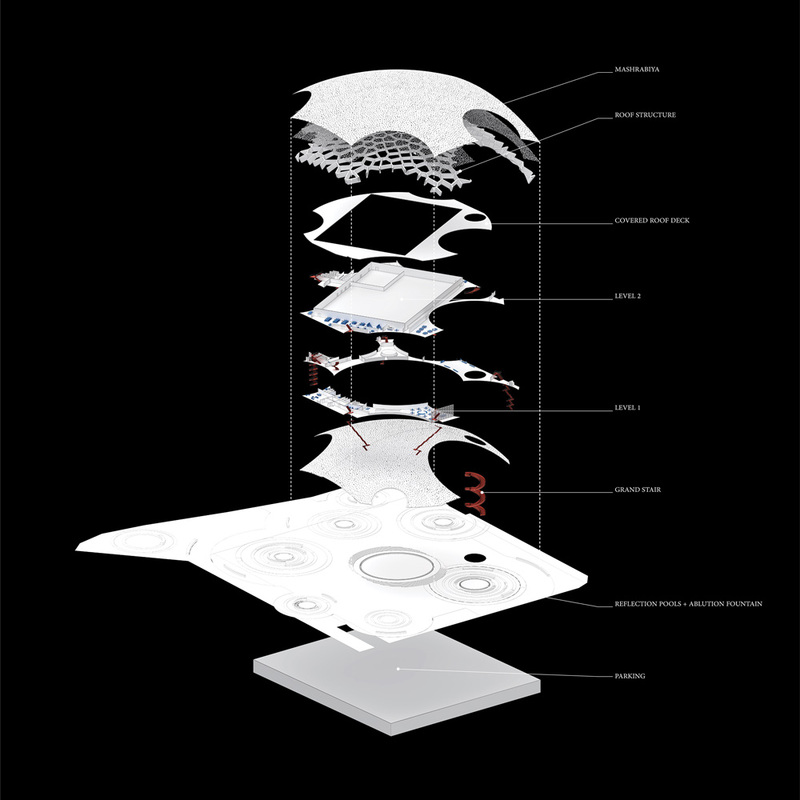 the building rests on five structural pillars that support the dome and it’s program above, while each of them also contains functional elements such as stairs, elevators, and mechanical equipment. 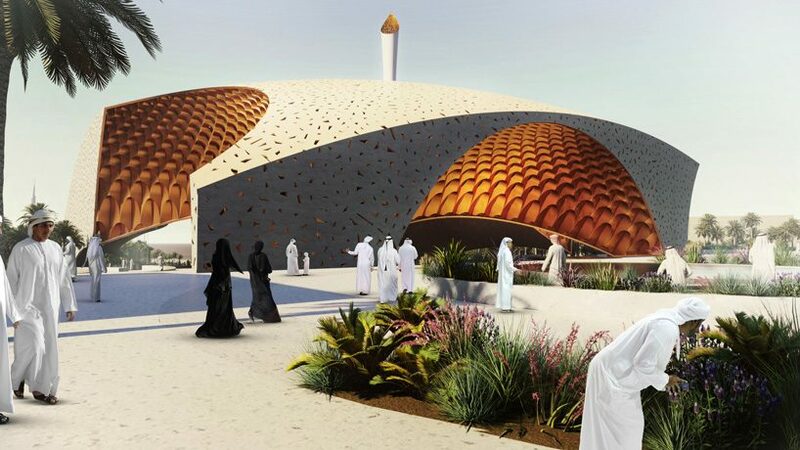 the main entrance is up a generous and sculptural spiral staircase underneath the dome in the shaded courtyard, place beneath the vaulted building and the elevated prayer hall to enhance the relationship between the two. 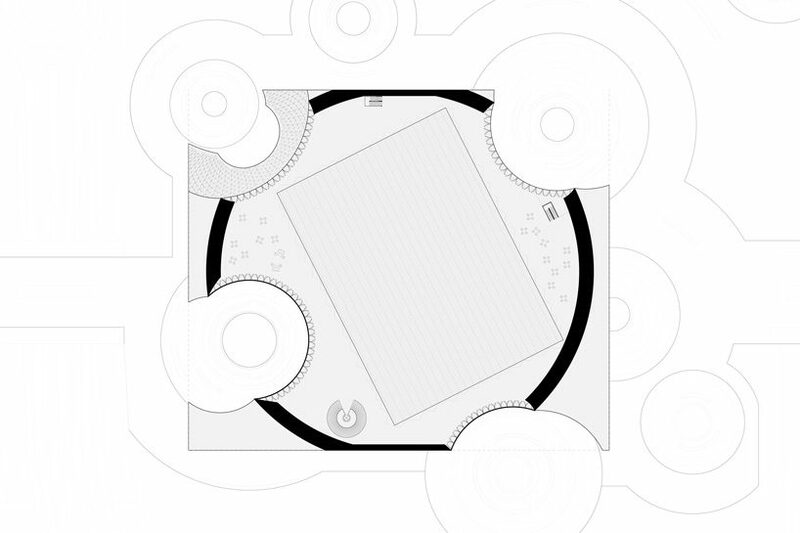 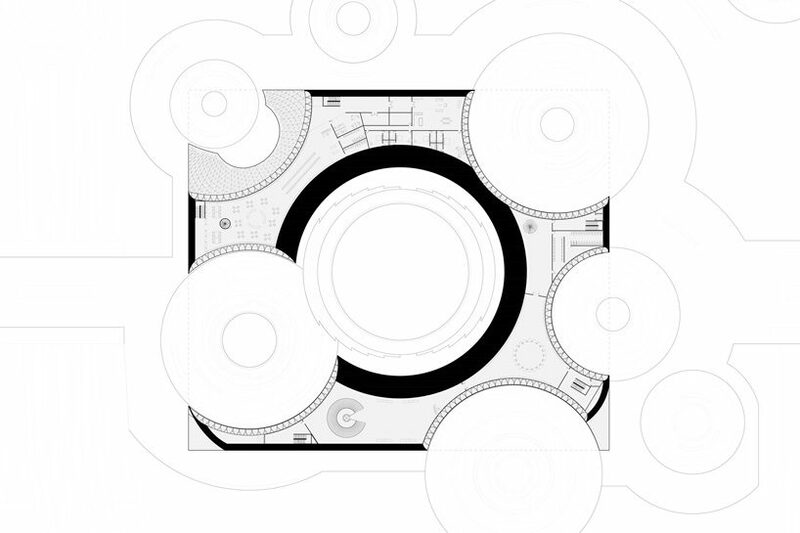 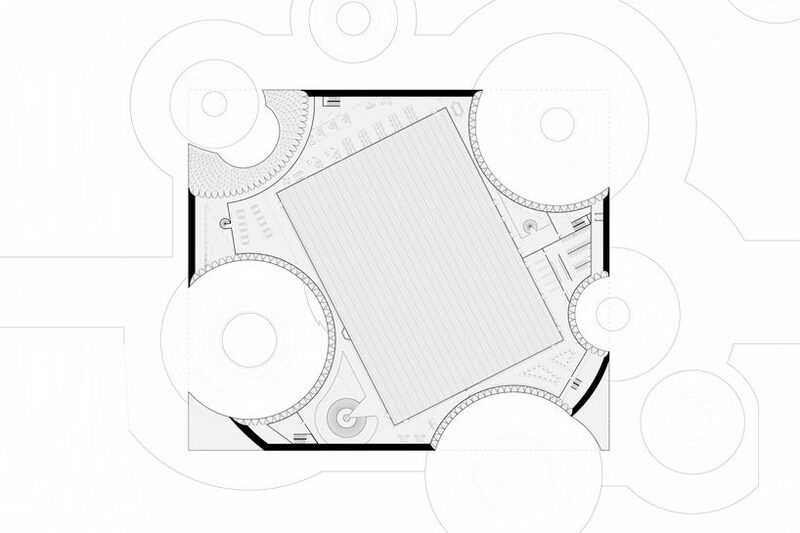 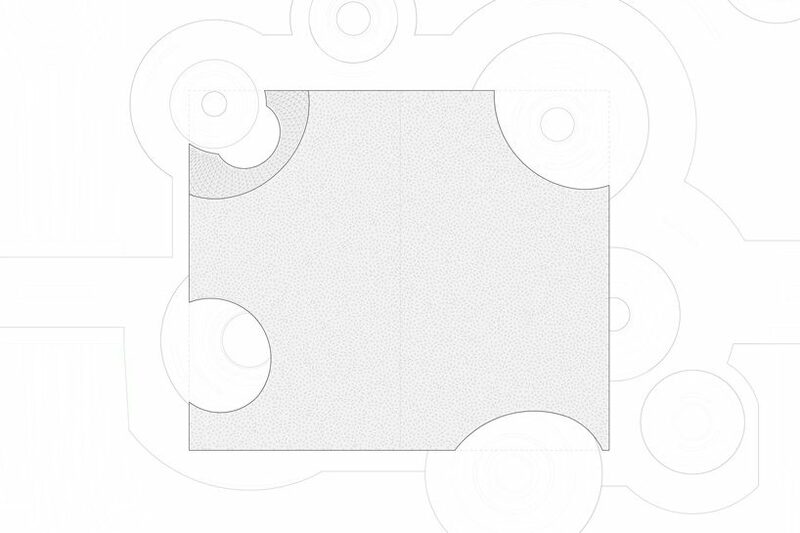 the public courtyard is created by lifting the prayer hall up into the spherical volume of the building and rotating it so that the qibla wall faces mecca, allowing for a shaded gathering space under the dome entrance. 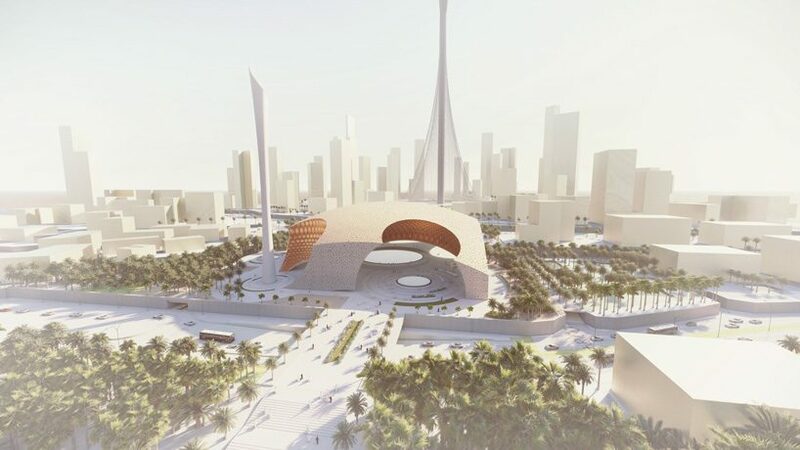 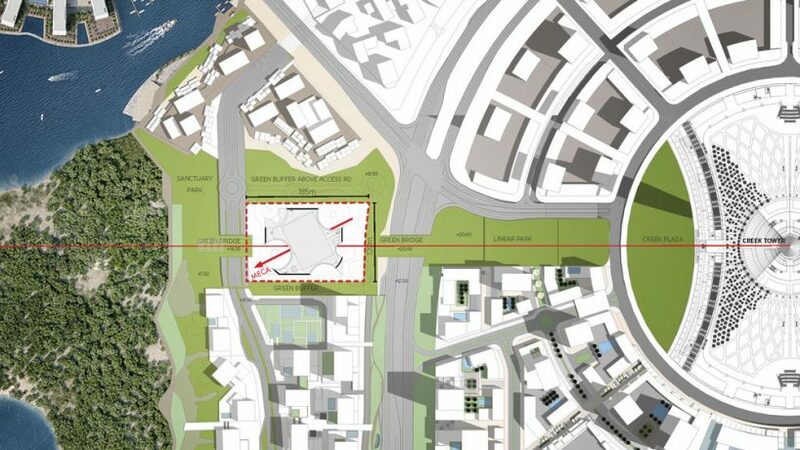 this place ultimately allows the axis from the dubai creek tower to the park run underneath the building, inviting the surrounding context to weave through the mosque.